Reveal your skin’s true clean. Still cleansing by hand? There’s a lot you’re missing. Know what else you’re missing cleansing by hand? The maximum benefits from your skin care. The Skinvigorate™ Cleansing Brush allows your skin care products to absorb better and more quickly and helps maximize the instant hydration benefits of your moisturizer. Even makeup applies more easily and evenly. From the first day you use the Skinvigorate™ Cleansing Brush, you’ll notice a difference. Your skin’s appearance will start to improve immediately. And with continued use, the rotating action helps polish away the look of past skin damage for a more even-looking complexion. The appearance of lines and wrinkles is softened and pores appear smaller. Skin is invigorated, revealing its youthful vibrancy. Enjoy deep cleansing, gentle exfoliation and massaging in one easy step as the supersoft-feeling bristles caress your skin. You’ll feel like you just had a spa facial treatment. And that’s something you don’t want to miss! *Results based on a one-day, controlled clinical study with 22 panelists. 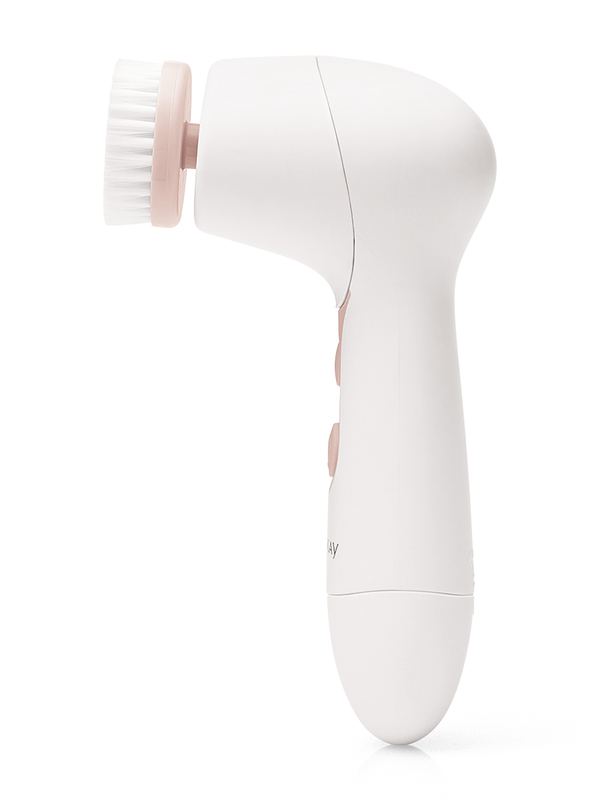 Skinvigorate™ Cleansing Brush allows you to customize your experience with two spin speeds. Just a push of a button switches from a lower speed to higher — reaching over 400 rotations per minute. 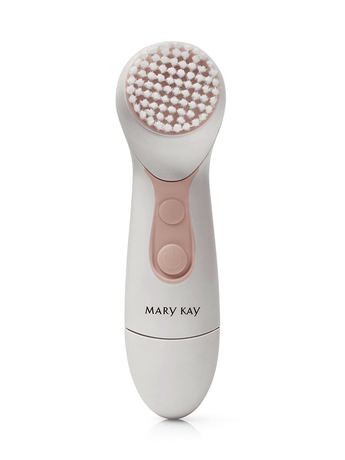 Both speeds provide gentle massaging yet deep cleansing that’s suitable for daily use on all skin types, even sensitive skin and acne-prone skin. The nylon bristles of the brush head feature polished tips with rounded ends so they feel super-soft against your skin. 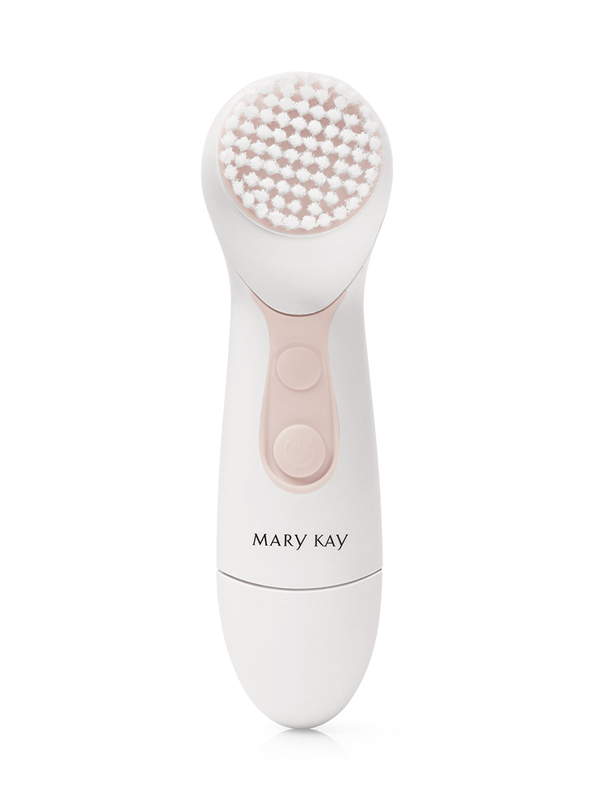 Skinvigorate™ Cleansing Brush gently exfoliates and helps improve skin texture without being abrasive to skin. And its unique, angled design hugs the contours of your face to help thoroughly clean.